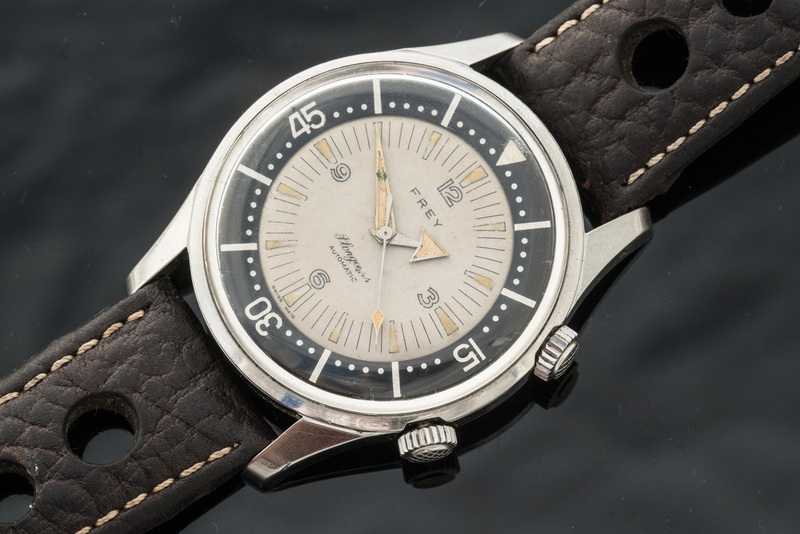 Here's a really beautiful and large supercompressor watch from the 60s. 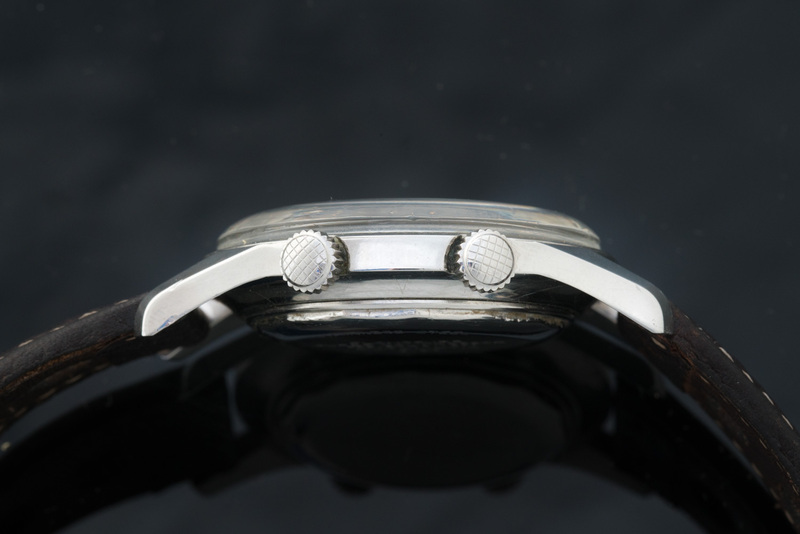 This one is all original, including crystal, twin crosshatched crowns, and lume. With big fat arrow hands, the look really delivers. You will notice that the crystal has some crazing at 12' O'Clock where the radium lume has burned it. There are a few scratches on the case back from opening. I have had it fully serviced about 3 years ago. $2950. 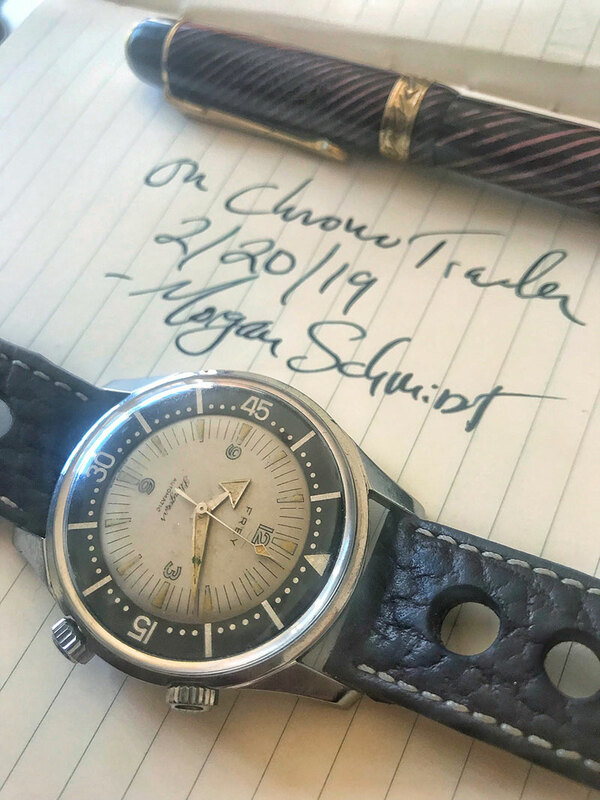 I have included a ChronoTrader tagged image. 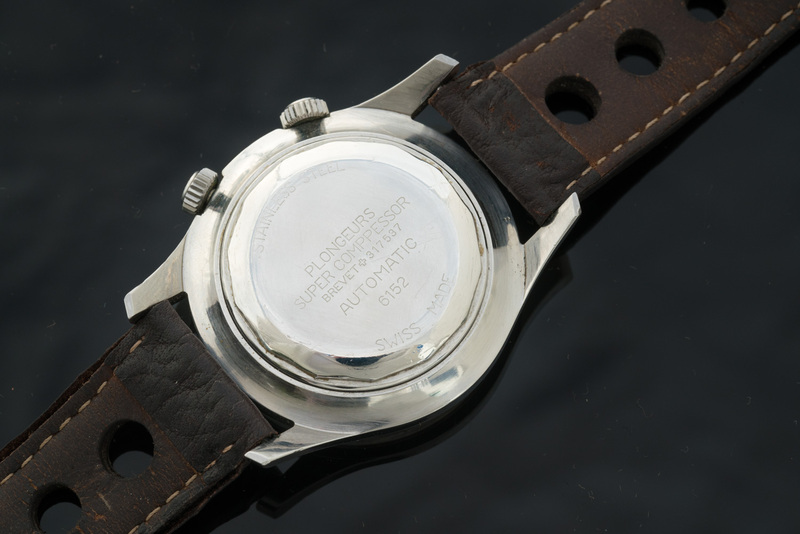 I have references on ChronoTrader, WatchUSeek, TimeZone and eBay. 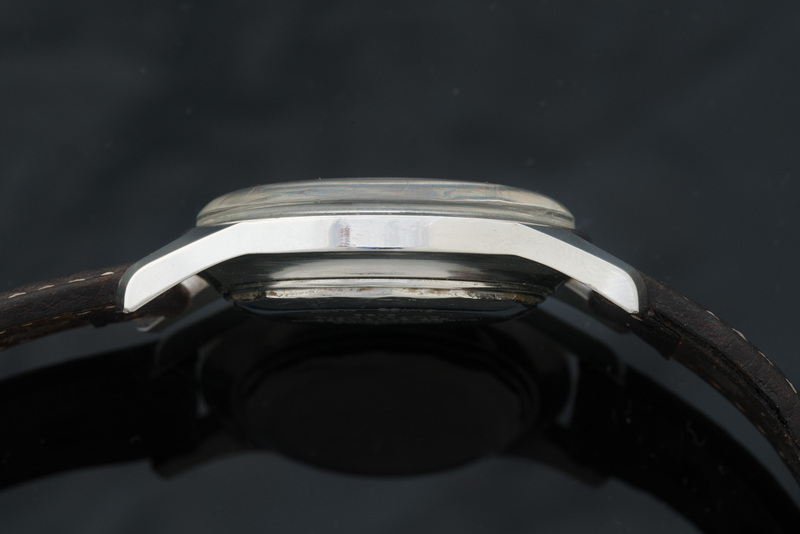 I offer a three day inspection period: once you receive the watch, you have three days to check it out, enjoy it, impress your friends. You can contact me at any time in those three days and return it--for any reason--in the same way that it was shipped to you. I'll inspect it on receipt and if everything's the same as when I sent it, you'll get an immediate refund minus any shipping costs or payment fees I incurred.